In 1986, a Newfoundland teen learns that family isn’t always the one you’re born into—sometimes it’s the one that takes you in. 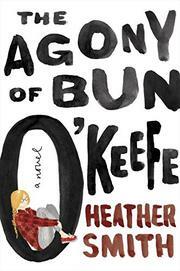 Bun O’Keefe has grown up isolated in a run-down house with her mother, a 300-pound hoarder, who has deprived Bun of love, care, conversation, and education. When Bun’s mother tells her to get out, the literal-minded 14-year-old white girl goes to St. John’s, where she meets a close-knit group of disillusioned young adults. There’s Busker Boy, a Sheshatshiu Innu street performer; Big Eyes, a lapsed Catholic, white good girl who can’t bring herself to swear; Chef, a talented, white culinary student; and Cher/Chris, a white drag queen. The found family of four takes Bun in, feeds and clothes her, and teaches her what it means to be loved and supported. Although Bun is 14, she possesses the endearing naiveté and honesty of a child, but her first-person narration isn’t sappy or immature. She’s self-taught, courtesy of the many books and video tapes her mother has brought home, and her point of reference for the world is the 1978 documentary The Agony of Jimmy Quinlan, about an alcoholic on the streets of Montreal. Smith’s talent lies in deftly handling numerous heavy topics: suicide, sexual abuse, neglect, AIDS, homophobia, transphobia, and racism, without making them feel forced or gratuitous—they’re facts of life.